A Fancy Dress Show was organised for the children of classes Nursery to UKG on 5th and 7th September, 2018. Some of the themes for the event were Community Helpers, Technology, Farm House, Railway Station, Circus etc. 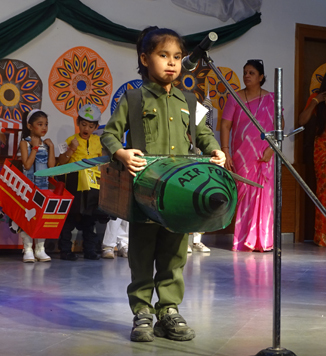 The themes were chosen to sensitize the little ones towards their social and cultural environment.